Sydney Allard raced a Morgan three-wheeler in the early 1930s, then began building his own trials specials, powered by Ford V-8 motors. In 1946, he began building a line of sports cars bearing his own name, designated J1, K1, L, and M1, designating short-, long-wheelbase, four-seater and drop head coupe variants. They carried stark bodywork, American 221-dic Ford and 239-cid Mercury V-8 engines. Their performance was downright frightening. By 1950 Allard had sold 854 cars and was marketing the J2 and K2 roadsters, and the P2 sedan, in which he won the 1952 Monte Carlo Rally ahead of Stirling Moss, becoming the only man ever to win the event in a car of his own manufacture. The most familiar Allard competition car was the J2X. A barebones racer, it had an aluminum two-seater body and Ford or Chrysler V-8 engines, ranging up to Cadillac’s 220-bhp, 331-cid OHV V-8 – in a car that weighed 2,150 pounds. The rear axle was a De Dion setup and the front axle was a Leslie Bellamy design, split, with a transverse spring. Given the power-to-weight ratio, handling could be a handful and required an attentive driver. Allard quoted performance figures of 0-50 mph in 6.8 seconds, with a 16.7 second quarter-mile time and top speed around 120 mph, but tuned versions were certainly much faster, and dominated West Coast racing until the arrival of the Ferrari 340MM and 375MM in the mid-1950s. Full “Le Mans” options were offered, including windshield, top, wipers and headlights with stone guards, but most cars remained minimal competition racers. 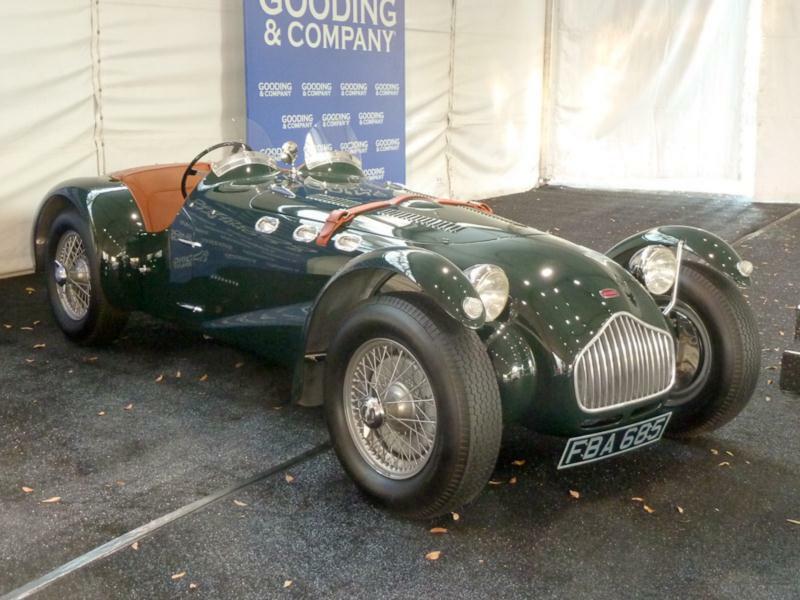 Allard modernized his line with the full-width K3 of 1952 and it also had a smaller sibling, the Palm Beach, which was fitted with English Ford running gear. The Palm Beach never gained much traction, due to the launch of the Austin-Healey 100, but it spawned the JR and J2R, which was basically the same small car with the biggest American V-8 engine you could cram into it. Again, the Cadillac 331-cdi V-8 was the motor of choice, now developing 270 bhp and with a top speed north of 140 mph. Allard himself led the 1953 Le Mans 24 Hour race for a while in one of these. Allard reportedly continued production until 1959 – including a Palm Beach Mk II – but only seven cars are thought to have been built after 1954. J2 production is estimated at 90, with a further 83 J2X models being constructed. Total production of the JR and J2R is only 17, making the models both the fastest and rarest Allard sports cars available. As always with competition cars, correct provenance can double or triple the price. These cars are brutish and purposeful, and most have been driven in anger for most of their lives, so buyers should check very carefully for accident damage and the quality of the repairs. Once a sound one is located, be confident in the fact that you will enjoy one of the most visceral and thrilling rides of the 1950s.